The Terratrac TT270 was developed on the basis of the well-tried Aebi Terratrac concept. It reflects the state-of-the-art in tractor technology and is the top model in the Aebi Terratrac series. 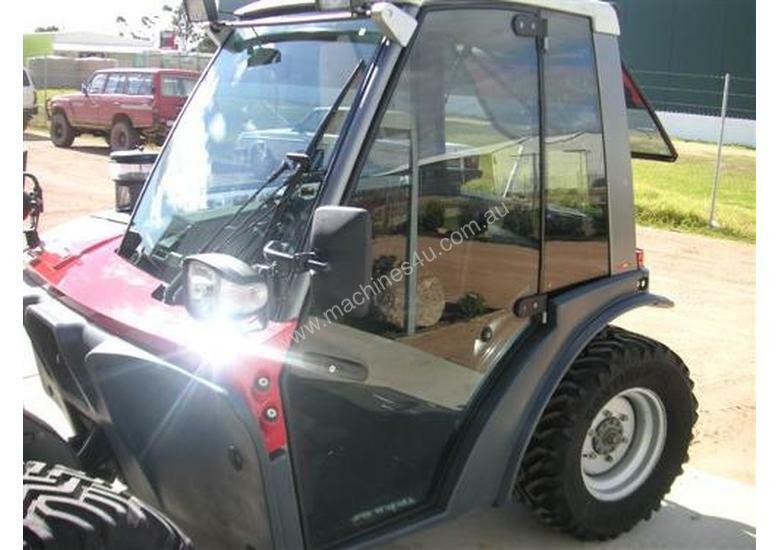 This top-class Aebi Terratrac sparkles inside and out with ultra-modern design. The level of comfort, especially in terms of noise and dust has undergone a marked improvement. Operation of the basic machine and the attachments is now semi-automated. The machine packs a bigger punch thanks to the increased engine power and larger, wider tyres as well as increased lifting power. The direct injection 95 HP turbo diesel is powerful yet economical. The excellent maximum torque of 335 Nm is developed at 1300 RPM. 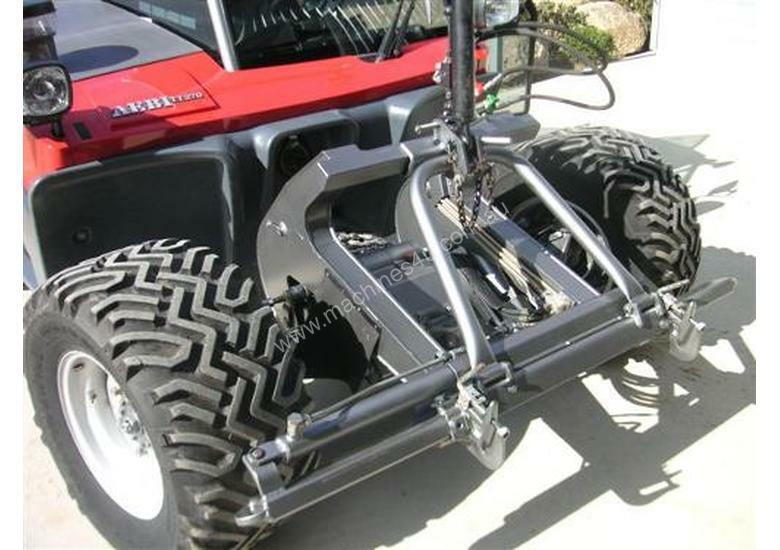 The hydrostatic transmission accelerates and brakes the TT270 via a two-speed mechanical gearbox (off-road / road). With 40° steering lock at the front and rear and all-wheel steering, the Terratrac is exceptionally manoeuvrable. 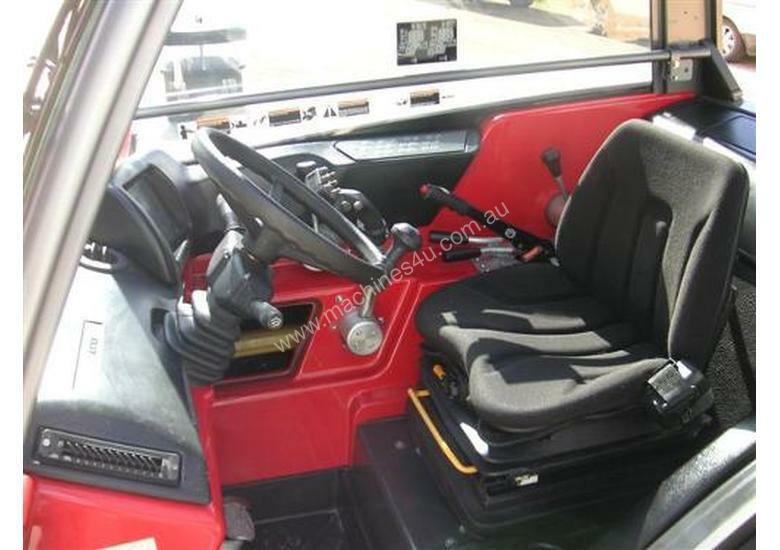 The dust-proof cab has a very spacious feel. The screen of the on-board computer fitted as standard displays the most important settings and the operating status. 24 functions can be operated on the multifunctional control lever without changing hands. An electronically controlled air-conditioning system ensures a clear head for working. The Terratrac AEBI TT 270 is an extremely powerful and efficient implement carrier and multi-purpose tractor. 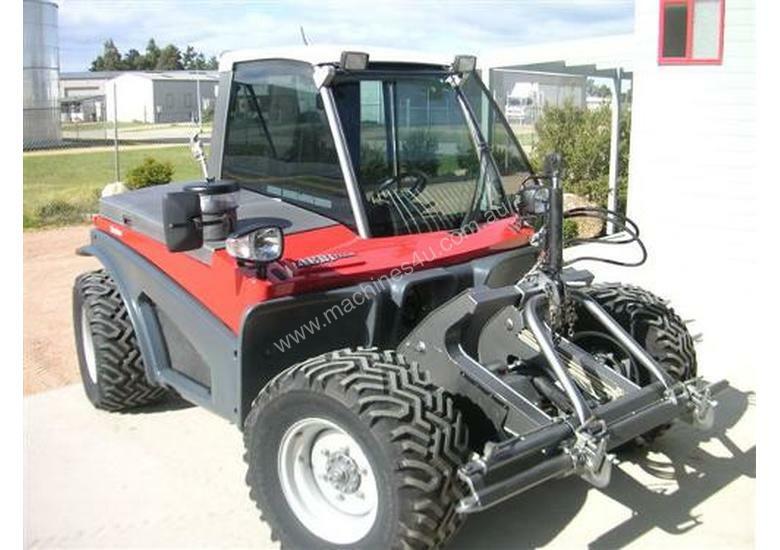 This Tractor model stands out for its comfort and safety, extremely good performance on difficult and rough terain, with maximum ground protection and minimum damage to the surface and environment. The multi-function drive-lever makes operation easier, allowing almost everything to be controlled. The cabin has excellent all-round visibility, is well protected against noise and dust and includes air-conditioning. The comfortable seat is designed to meet ergonomic requirements and will even balance itself automatically on steep slopes. Thanks to direct injection, the 95 HP VM Detroit Diesel turbo engine has huge pulling power and is very economical. The axles of the AEBI Tractors are designed for above average loads, designed with a low centre of gravity making the Aebi Tractor one of the most versatile all-round tractors on steep terrain. 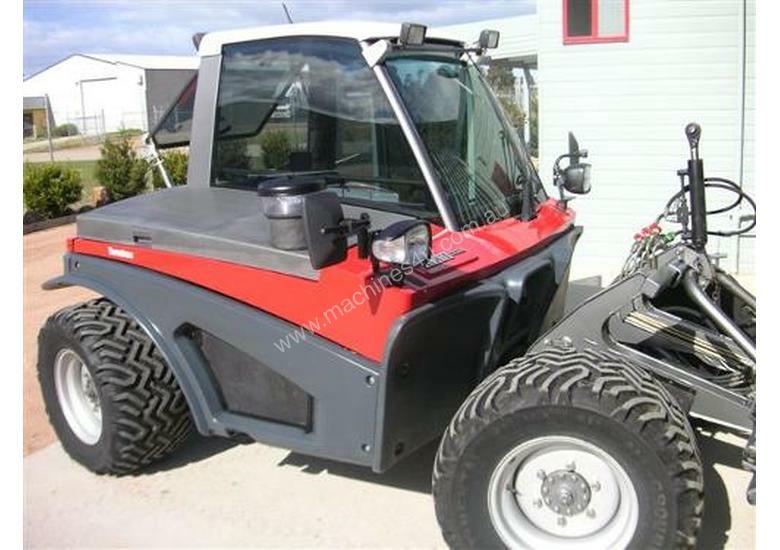 Other features include front-wheel steering, true rear-wheel steering for precise working with front-mounted equipment, four wheel steering for tight turns and Crab-steering for special conditions on steep slopes.